Alicia is thrilled to work with a variety of Arts Organizations on Cape Cod. She also does private voice & guitar lessons at Sounding Still Wellness currently located at 11 Potter ave. Hyannis, MA Call 646-345-5484 for more info. Tuesday in SANDWICH (register at Meryl’s Music & Art) 4:30 & 5:30 mixed ages (0-5) Music Together NEW SESSION STARTS April. 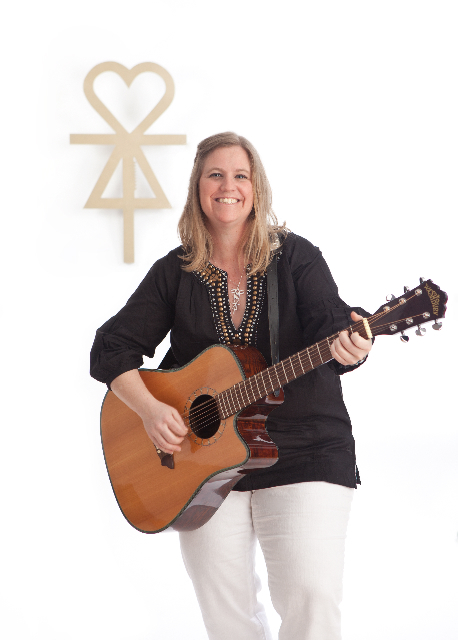 Alicia offers voice & guitar lessons for children and adults in private sessions and groups. $30/half hour. Call 646-345-5484 to learn more or book a lesson today! Have you always wanted to play your favorite song on the guitar or sing along with friends and feel confident? Book your lesson with Alicia Mathewson today and step into your happier, more creative self. For Children and Adults, Alicia’s lessons will make you feel empowered free and happy! Alicia Mathewson holds an MFA from Tisch School of the Arts, an MA in music composition from Smith College and BA from Middlebury College. She has taught children K-12 all-over the world working for Lincoln Center Institute, Johnny Mercer Foundation, Midori and Friends, Making Books Sing, International School of Egypt, and American Community School Beirut is currently teaching at Cape Cod Academy. Through her extensive experience as an artist and a teacher she recognizes that the life skills of being creative and compassionate are the most valuable skills of the 21st century and the experience of music and expressive arts help create whole and balanced people and communities. She has studied the multiple spiritual traditions and is a certified Healer and Teacher with SQ Wellness.